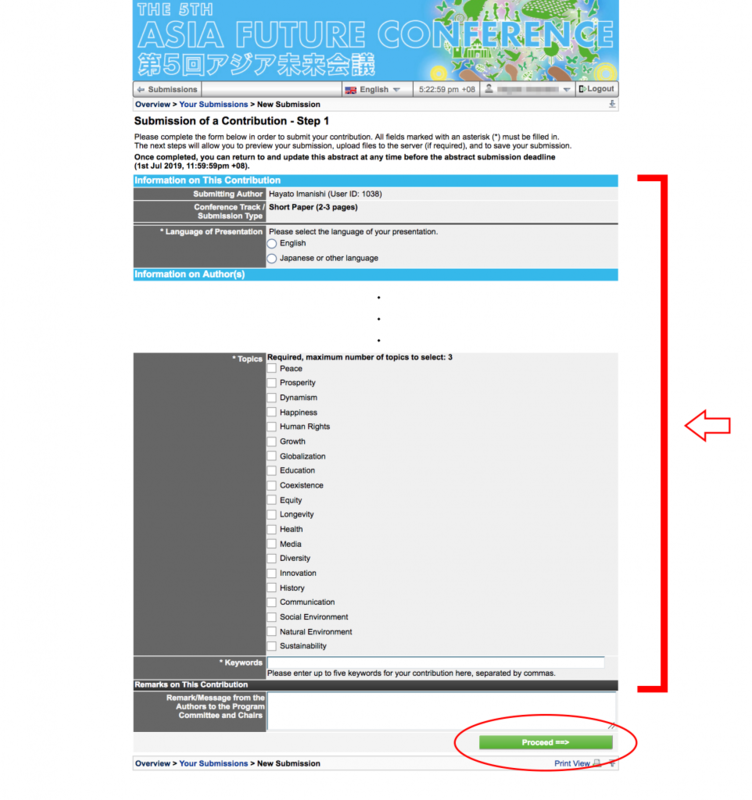 Create an account and fill in the necessary information in order to register for the conference and receive news for participating in the event as well as upload your submissions. The AFC office will contact you through the email address that you register. – For those applying for AFC Scholarships and Best Papers Awards: January 1, 2019. – For those not applying for AFC Scholarships and Best Papers Awards: June 30, 2019. 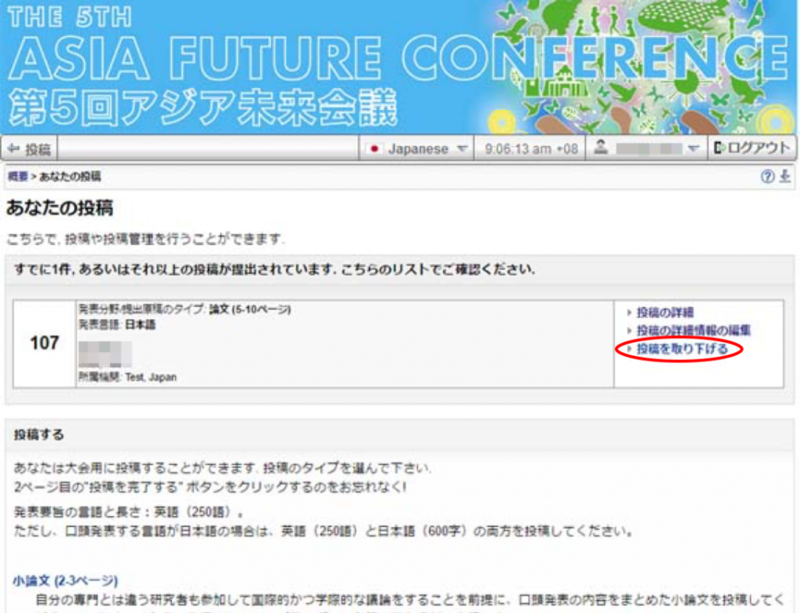 ・In the acceptance notice, application procedures for the scholarships will be included. 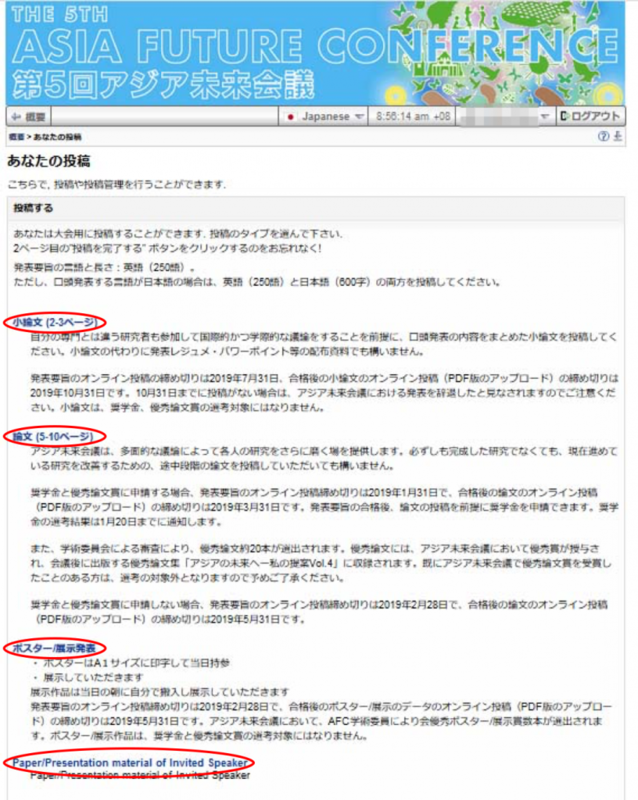 ・Release of selection results of scholarships: around May 31, 2019. 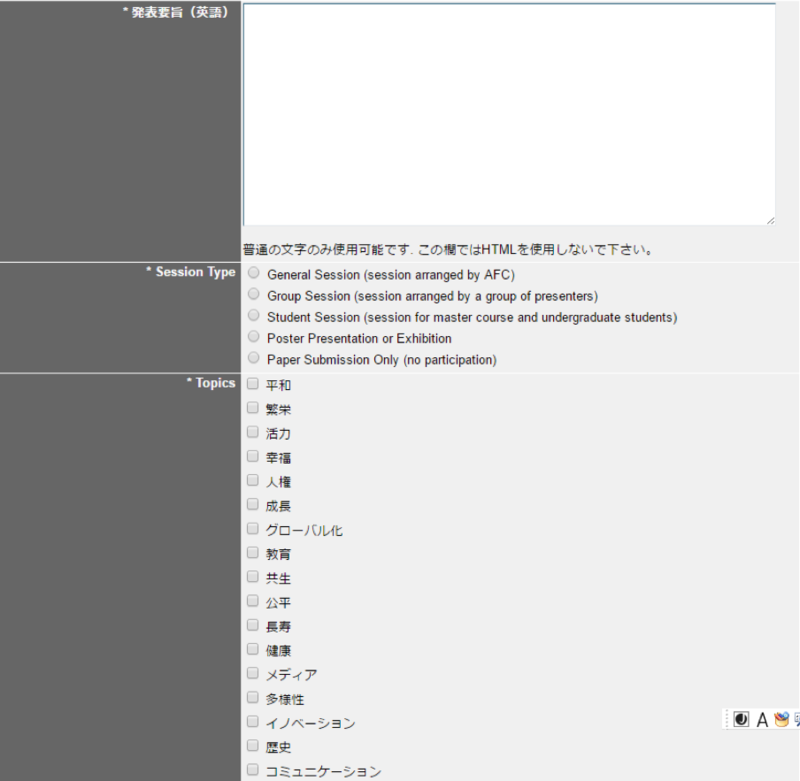 ・Regular registration (general participants) (August 1 to November 20, 2019). NOTE: Register status (discounted, room type, etc. ), Payment method, Study tour (August 27), etc. are displayed. 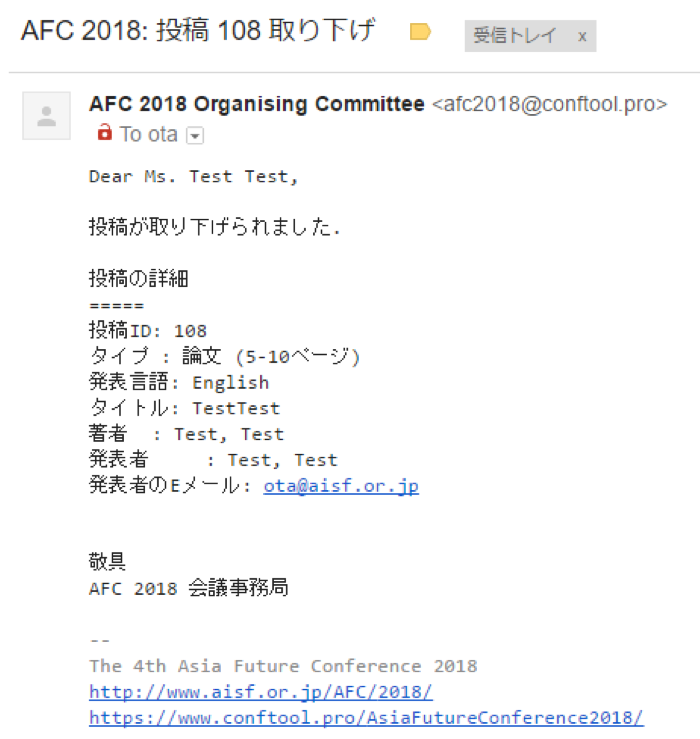 AFC office will contact you with details. The registration fee is to be paid in accordance with the guidelines above. The scholarship/prize money will be paid in cash at the venue. Provide information about your emergency contact person, flight number, and excursion registration. NOTE: INFOPACK – Please be sure to read the details for the conference that will be released in July 2018. You can get your ID and password information from the Registration page. See below for a more detailed explanation. 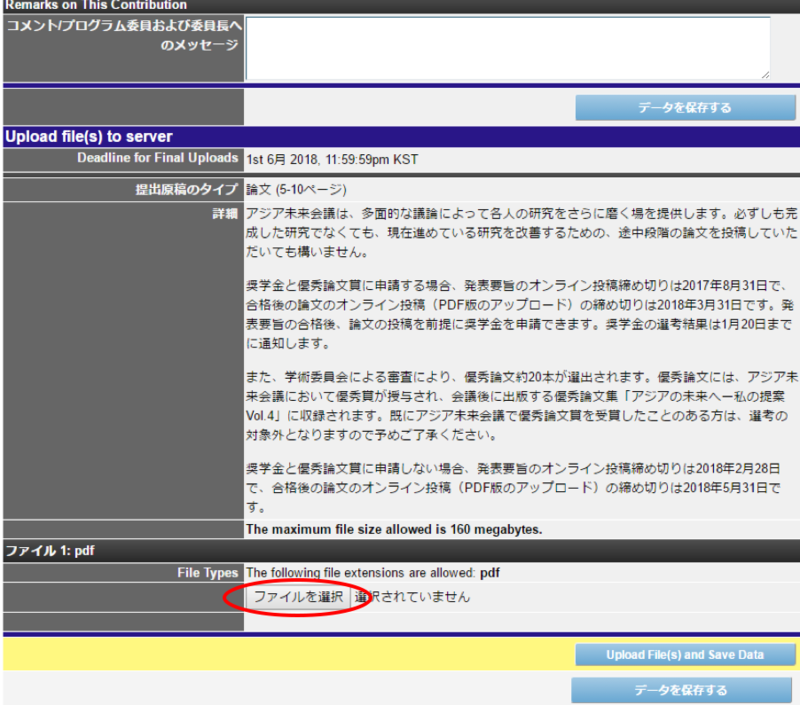 2.4 Fill in your email address, then click “Submit password request”. What is the User Registration Number? 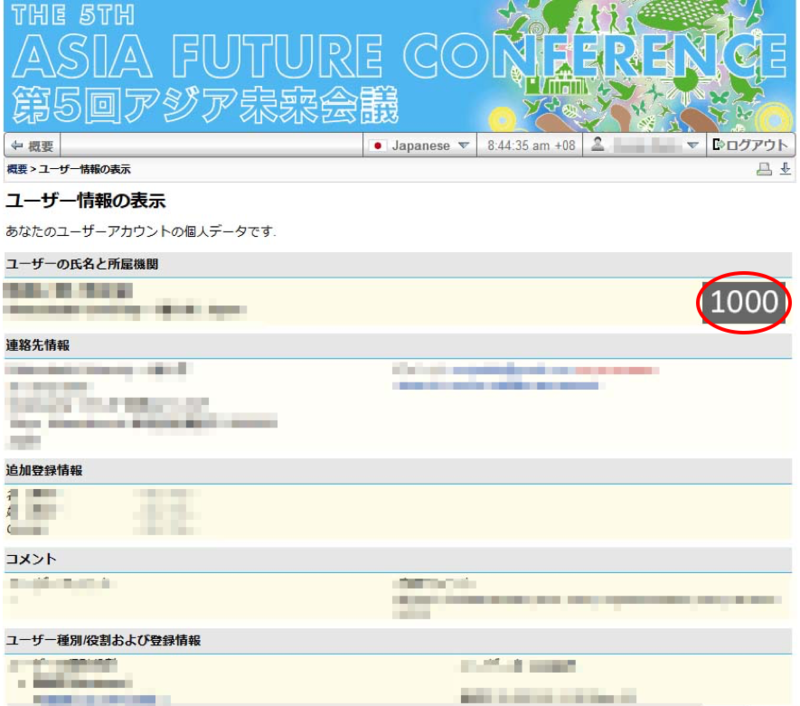 The User Registration Number is the four-digit number that you get when you register in the AFC online system. This number will be used frequently when you contact us or in other conference-related occasions. 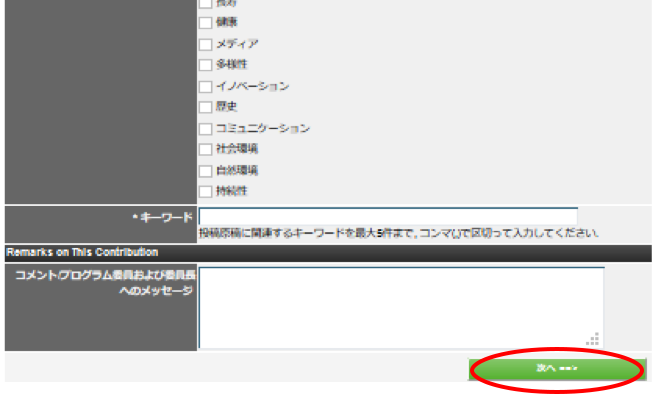 1-4.3 Fill in/select the necessary information(* items are mandatory). Click “Proceed” when you have filled in the necessary information. 1-4.5 Following your submission you will receive an e-mail from the AFC office. Papers should be saved in PDF format before uploading. **The above screen is displayed after your submission. 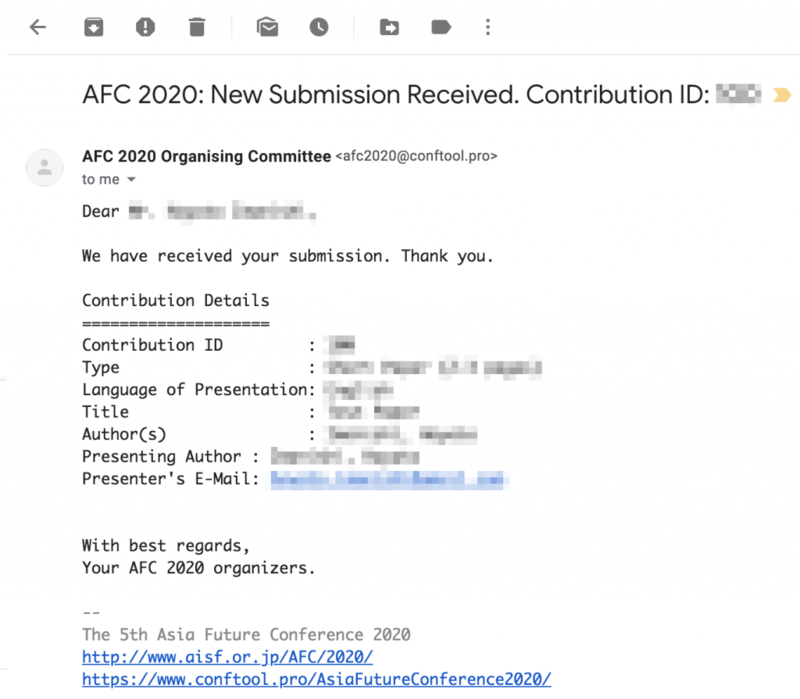 You will receive an e-mail from the AFC office shortly after your file has been successfully submitted. 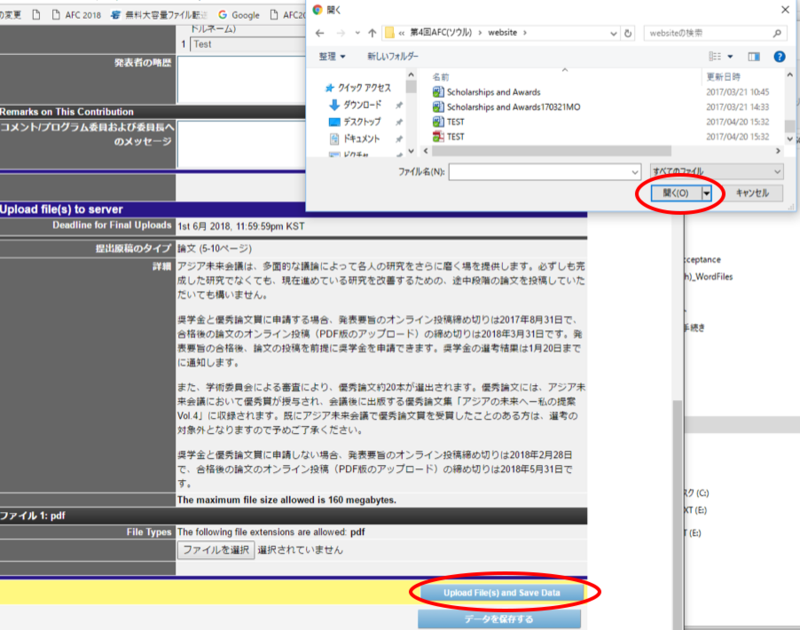 I would like to change or make revisions to a paper which I already submitted. You can change and make revisions to your submissions through your account anytime during the application period. You can do this by first withdrawing your contribution, and then uploading the revised version. 1-6.2 Then click “Save Data” when you finish inputting this page. 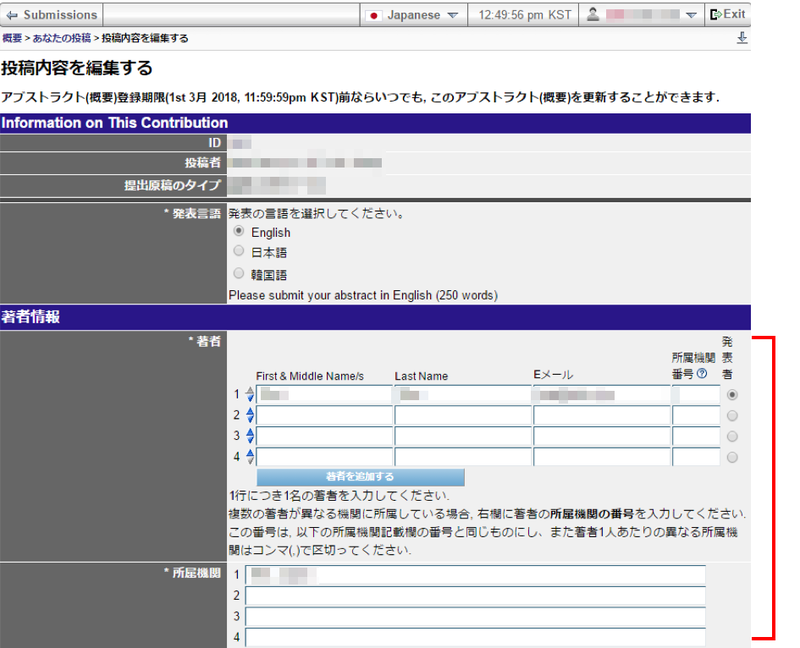 Why do I have to register twice: “Create account” and “Participation Registration”? 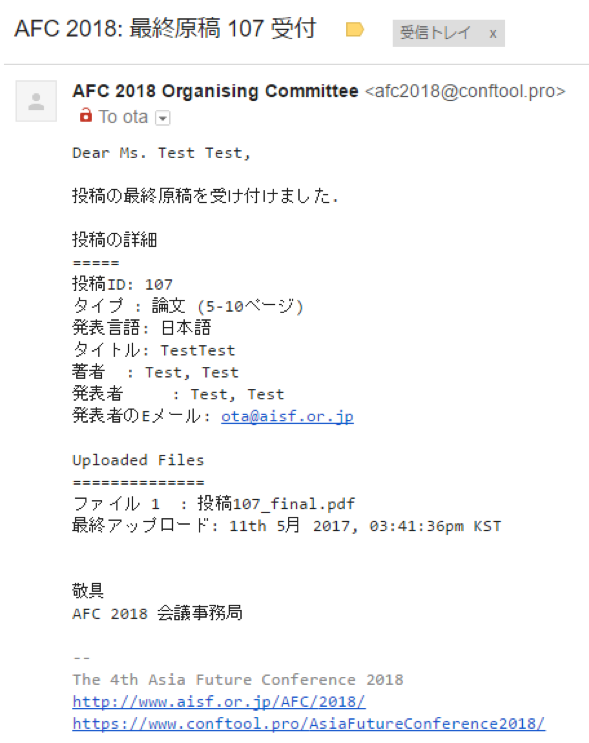 “Create account” is for creating your own AFC online account in the system, and after doing this you will get necessary information about the AFC. 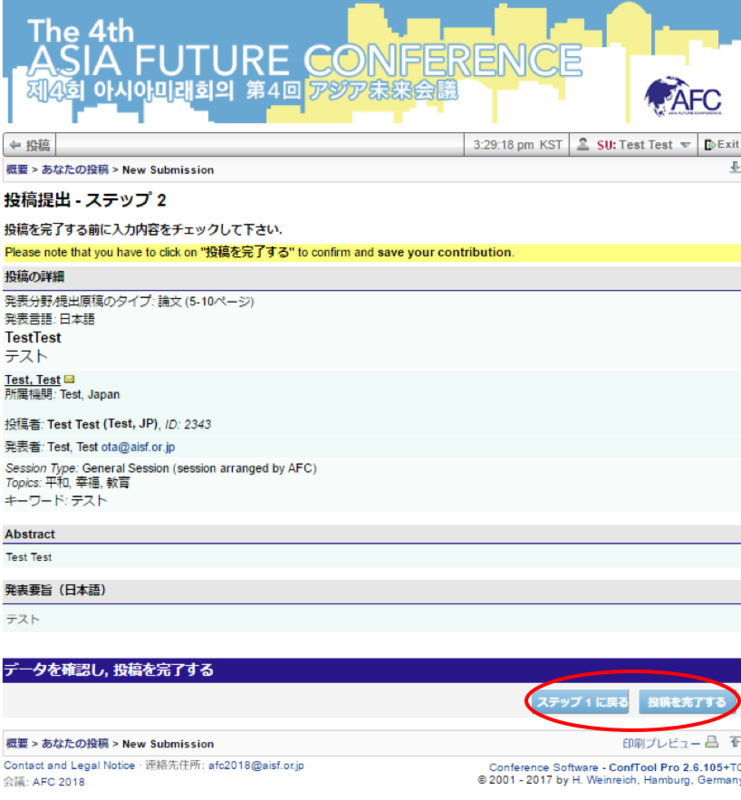 It also enables you to receive e-mail and other information from the AFC office. 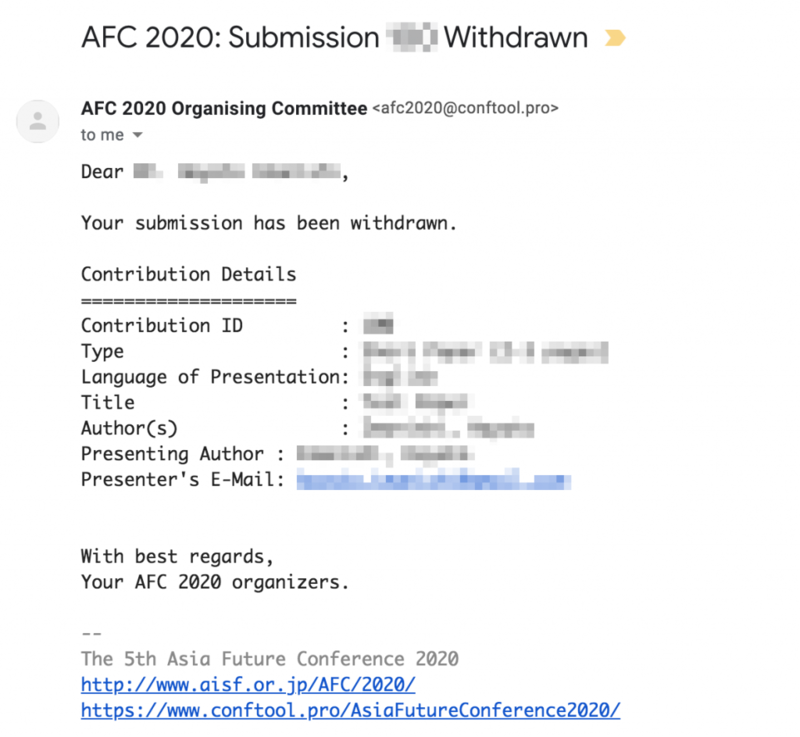 If you registered using “Create account” and/or “Participant Registration” but for some reason are unable to participate in the conference, please close your account (See Step 5 for how to withdraw) or contact the AFC office. We will cancel your registration. Are there any scholarships or discounts? Financial aid in the form of “AFC Scholarships” and “AFC Special Subsidy” is available. 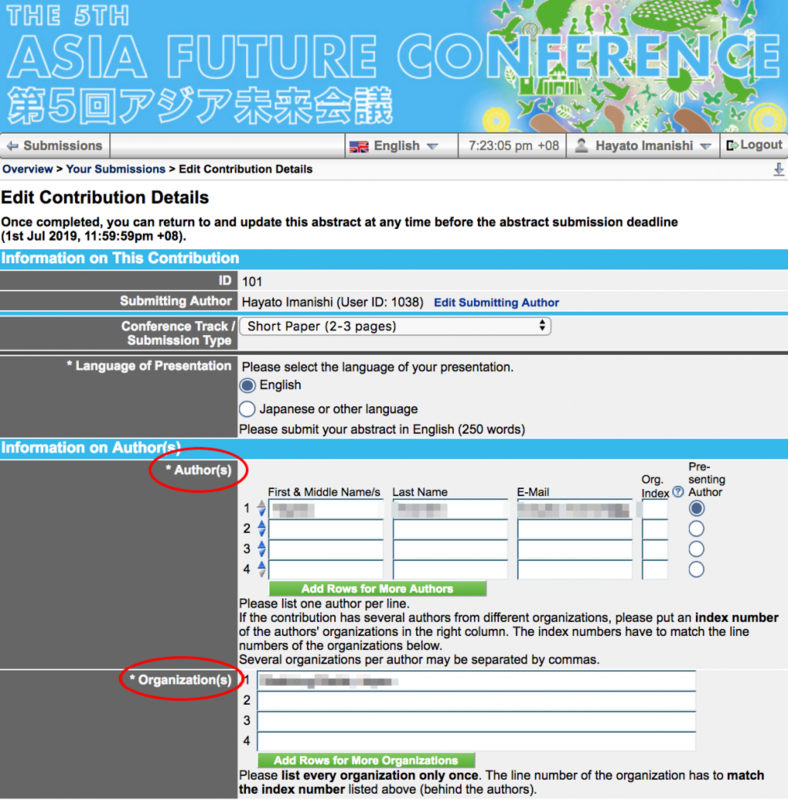 Please see “Scholarships and Awards” at http://www.aisf.or.jp/AFC/2020/awards/ for more information. Participants who qualify as “Economy Participants” (students/adjunct and non-full-time employees) can receive a 25 percent discount on the registration fee. “Early Bird Registration” (20 percent discount on registration fees) is available for those who register before July 31, 2019. 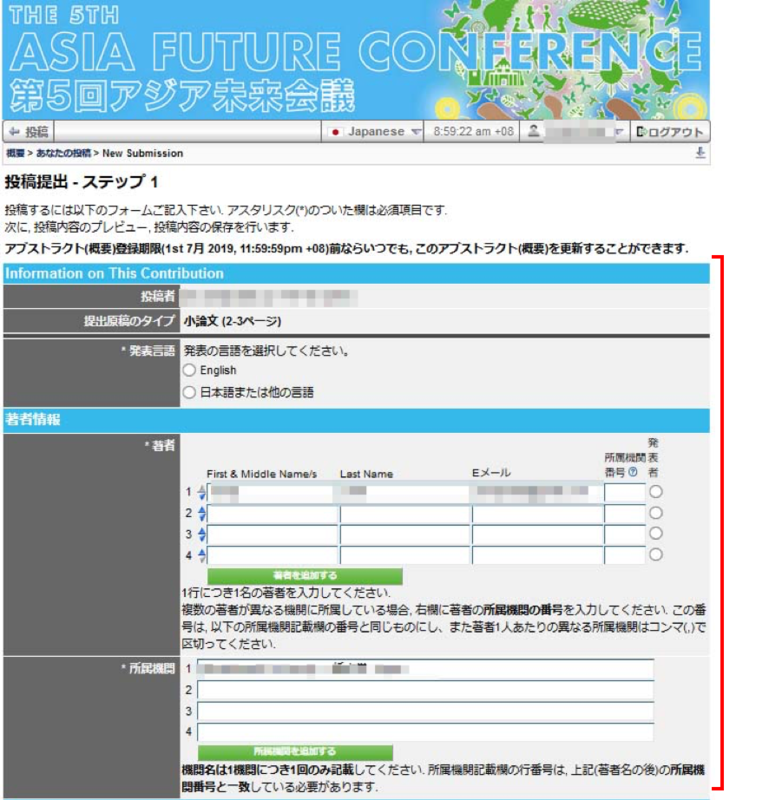 Please see “General Information” at http://www.aisf.or.jp/AFC/2020/information/ for more information. I need an invitation letter or a letter of request for visa and/or internal procedures in my organization. 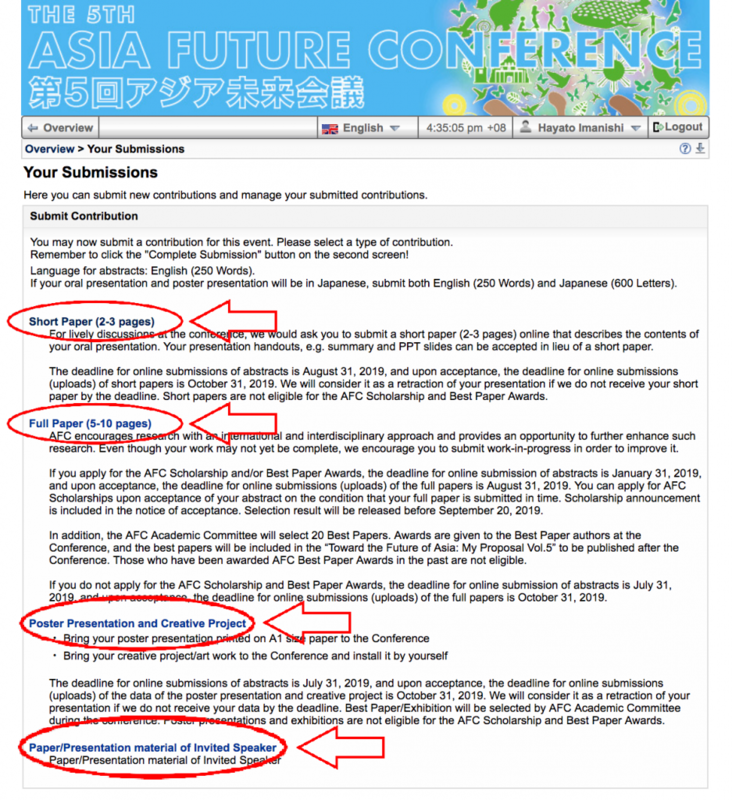 If you need an official letter of acceptance of your abstract for full paper, short paper, or posters, please contact the AFC office at afc@aisf.or.jp. We can provide with a document that contains the title of your paper, your affiliation, and names of co-authors, as well as the signature and seal of the host. You can use this as an official letter but not for visa application. paid in full. 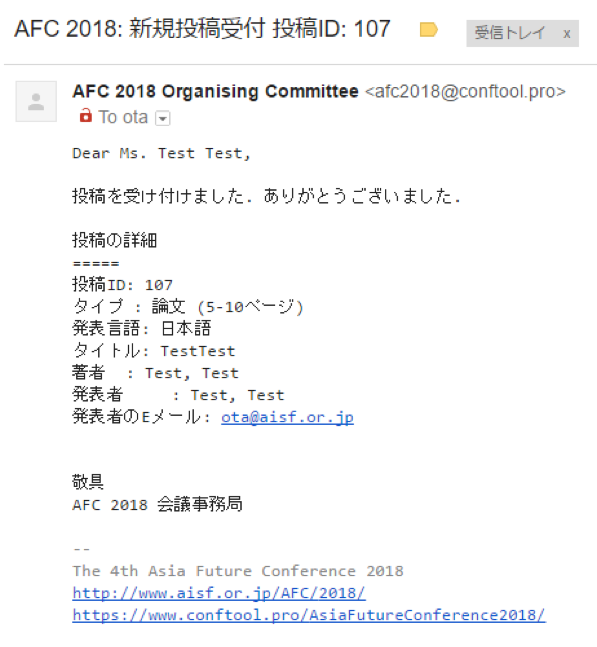 Login and download the letter from “Invitation and Confirmation (PDF)” from your page in the AFC online system. If you require a visa to enter the Philippines, our co-host, the University of the Philippines Los Baños (UPLB), can provide the supporting documents for your visa application. More information about this will be made available in October 2019. I have not received any e-mails although I registered or submitted a paper. Please check the spam or junk mail folder in your email account. In most cases, the email gets sent there. 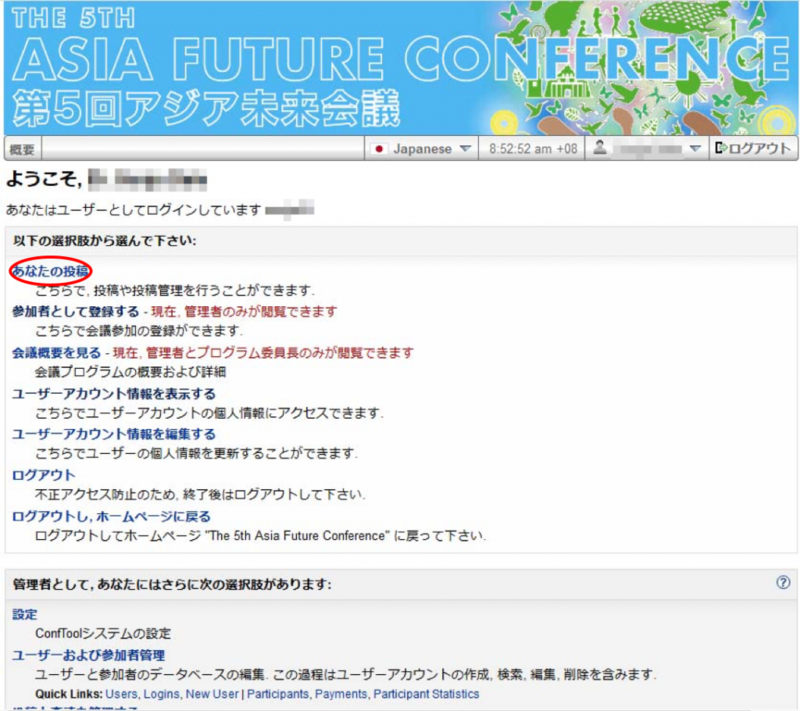 I would like to present in the same session as another presenter or specific group. ・Please have all the members of your specific group choose the same topic(s) from “ Overview >Your Submissions>Edit Contribution Details “ when you open an account. We will try as much as possible to comply with your wishes. 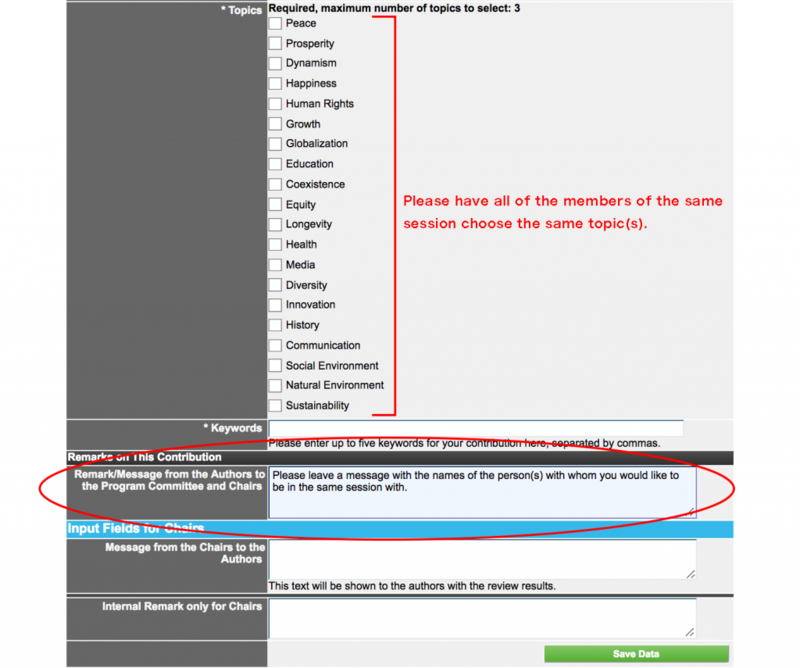 However, please understand that we might decide to put you in a different session, or that another presenter might join your session. You may pay using Paypal (credit card transaction) or bank transfer. Information regarding both payment methods will be given when you register. The AFC system does not show my payment although I have paid already. It takes some days for the bank to recognize your payment if you paid by bank transfer. Please note that banks in Japan are closed from April 27th to May 6th 2019 because of consecutive holidays in Japan. I need the receipt of my payment. You can print out your receipt through the AFC online system. Please contact the AFC office if you need a more formal version. I cannot remember whether I paid or not. Contact the AFC office ( afc@aisf.org ). I want to find out the schedule and venues of panel sessions. The listing of venues and maps for panel sessions will be included in the Proceedings. Can I get my award (Best Paper, Best Presentation, etc) even if I do not attend the awards ceremony? If you do not attend the awards ceremony you will be disqualified from receiving the Best Paper award. This need not apply for other awards. Can I get a copy of the photos taken during the conference and/or parties? Yes. 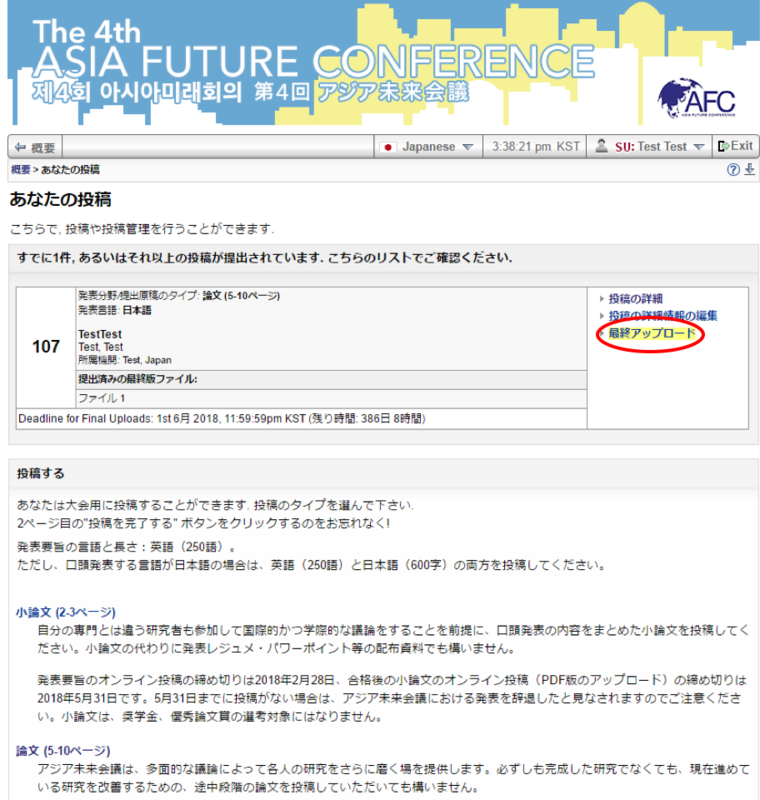 We will post the photos on the AFC website after the conference, and you may download the photos from there. How can I get from the airport to the hotel/conference venue? The conference will be held at two venues – Alabang (hotel), and the University of the Philippines Los Baños (UPLB). 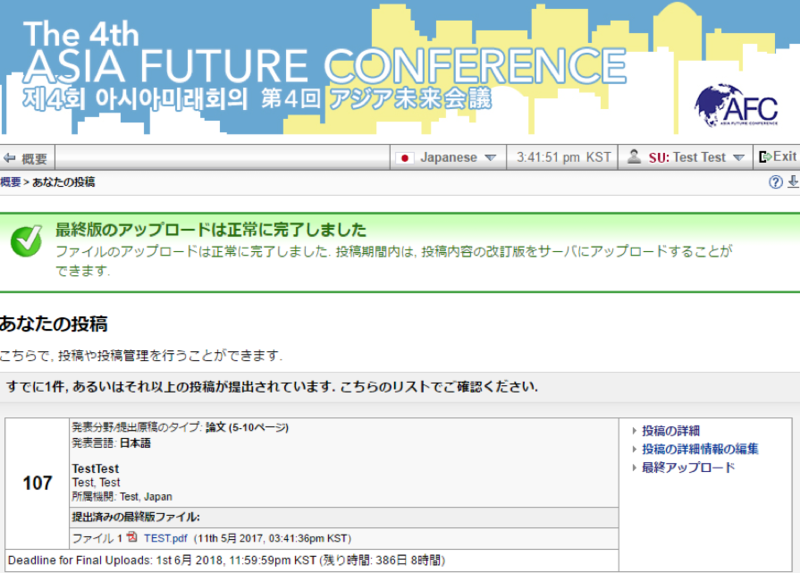 More detailed instructions will be released in the Infopack that will be sent out closer to the date of the conference. Airport to Alabang: A paid shuttle bus will be available for transportation between Alabang and the airport. Transportation from the hotel to UPLB: A bus will be provided from the hotel to UPLB for all participants on January 11. How can I register for the excursion? You can register for excursions when you register for the conference. You may also register for excursions at the conference itself, and all payment for excursions will be made in cash at the conference venue.